On a recent business trip to Irvine, California a couple of weeks ago, we decided to grab an Uber and head on over to Laguna Beach for dinner. 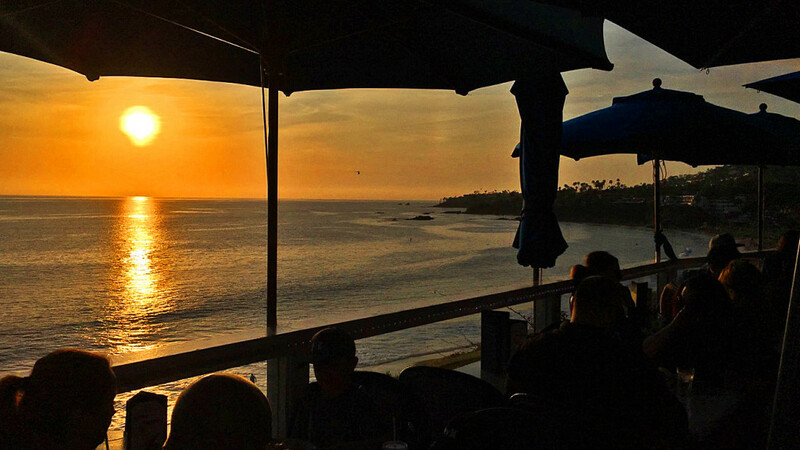 After extensive Yelp research, we stumbled upon a restaurant that looked too adorable to pass up, with what appeared to offer the most magical views of the sun setting over the Pacific Ocean. Nestled away along the Pacific Coast Highway, The Cliff Restaurant offers a world class menu with an unsurpassed dining experience. If you didn’t know the restaurant was there, you’d likely miss it as its main entrance is small and hidden behind the plethora of cars crammed into its tiny parking lot. The Cliff allows you to enjoy 180 degree whitewater views from a multi-level patio while enjoying your breakfast, lunch or dinner in an open-air setting. The view is nothing short of spectacular; winding cliffs, the Pacific Ocean, and the sunset all whilst listening to the crashing of the waves upon the sandy shore. Seeing the Pacific Ocean always makes my heart tingle with happiness – it’s the ocean that connects me to home and when it’s in view, it makes home seem a little less further away than it actually is. 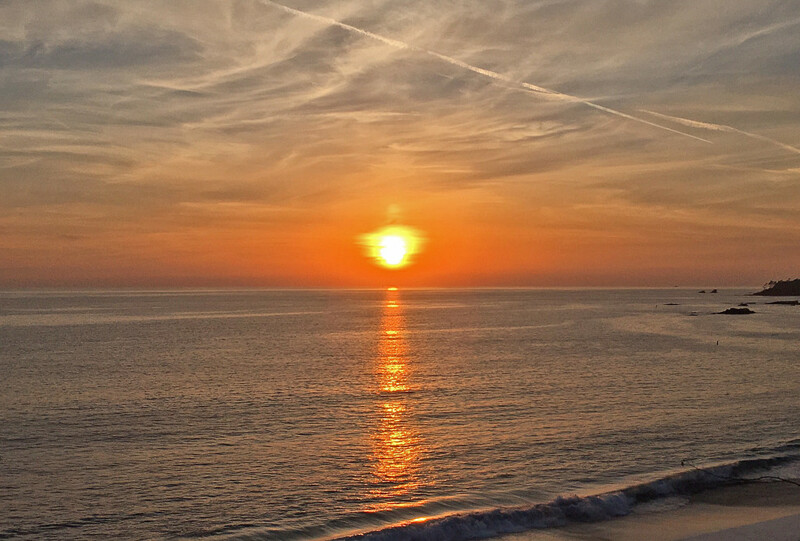 There really is no better place to kick back, have a few drinks, and enjoy this spectacular sight than from one of the patio tables at The Cliff. We arrived at the most perfect of times too. Unfortunately the restaurant takes no reservations and upon our arrival, there was a 90 minute wait sign on display, but the host had a high top open up and as there were only two of us, we were able to be seated immediately – just in time for the sun to bleed its many shades of orange across an ocean-draped horizon. Spectacular, really. I love food. Think about it – when we’re depressed, we want food. When we’re drunk, we want food. When we’re happy, we want food. Is there any problem food can’t fix? I was in the mood to sample an array of the menus offerings instead of being limited to a single entree. 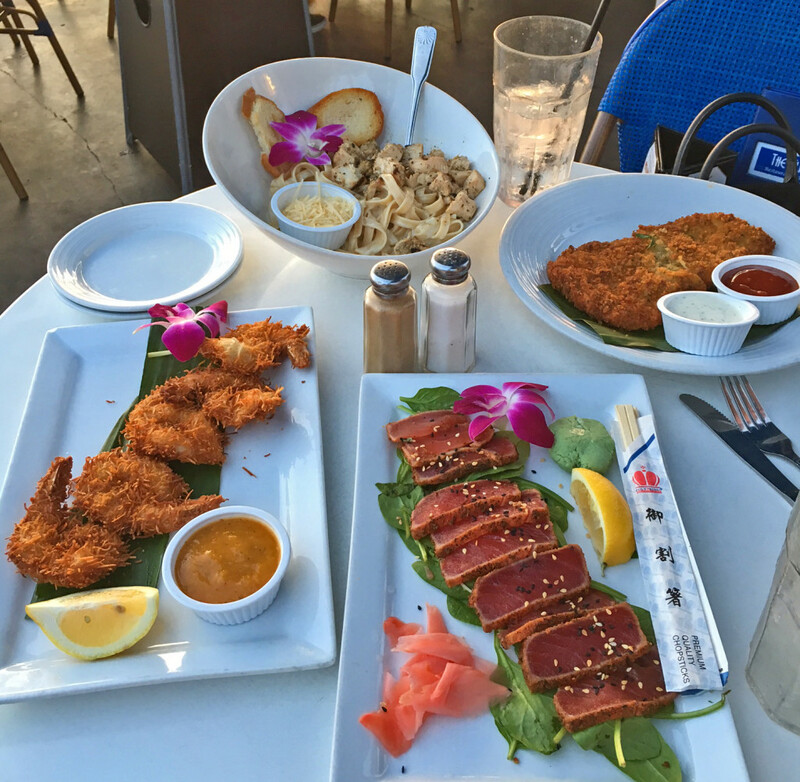 I went with the coconut shrimp, calamari steak and the blackened ahi tuna. The coconut shrimp was delish – the flakes of coconut were nice and large, and the shrimp had just the right level of crunch to them. The calamari steak was interesting – this is a strip of calamari covered in panko breading with a mix of herbs and then fried to golden perfection. It was tasty, but different to any other breaded calamari I’ve had before – probably my least favorite of the three dishes (even though it was pretty good!). Now the blackened ahi tuna was nothing short of spectacular. Man oh man, the flavor of this dish was incredible, and the tuna was incredibly fresh to the point where it felt like it was just melting in my mouth. I wish I had ordered seconds. While enjoying our dinner, we could hear live music coming from somewhere within the restaurant, but we weren’t sure where. As we got up to leave at the end of our meal, we decided to follow the music. 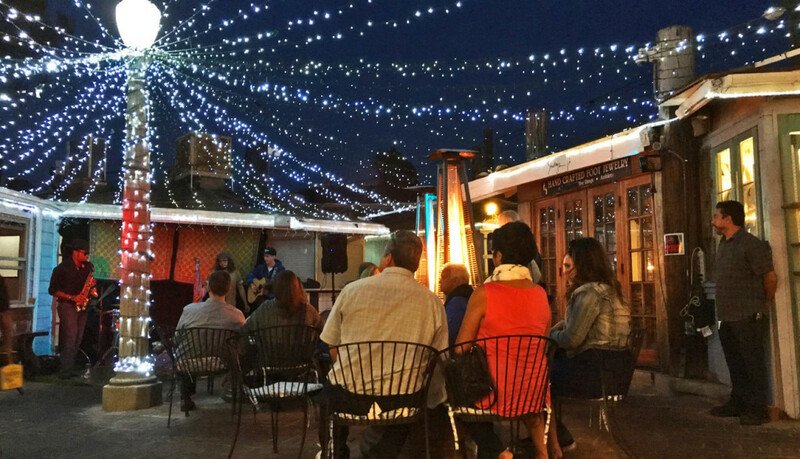 We were greeted with the most adorable little open-air nook – fairy lights, the nights sky, a couple of chairs for those wanting to sit and enjoy, a guitar, sax, and just really great vocals. What a treat. The Cliff offers live music Thursday – Saturday, 7:00pm through 10:00pm. I recommend getting there early as there are limited seats available within this section. 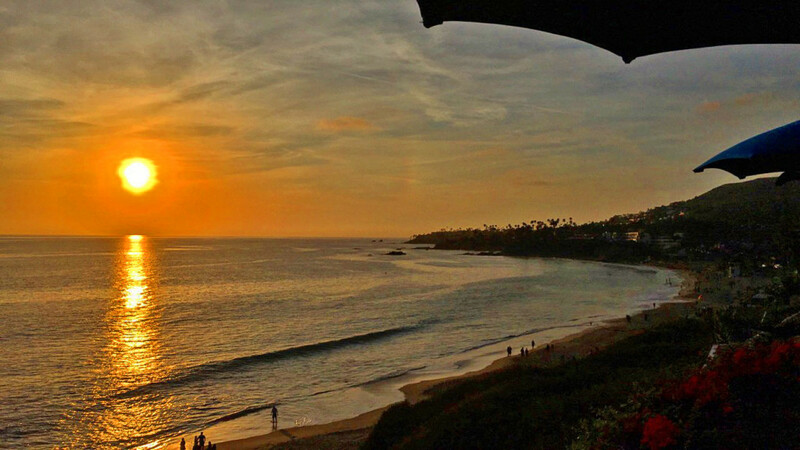 Beautiful Photographs of Laguna Beach at sunset it looks so lovely….It looks like a amazing place to watch sunset. I’d like add this place to my travel Bucket list..
Wow nice travel article it! Laguna beach at sunset is very nice. I think this place very good for Travel. Thanks for post. Tommy thomas recently posted…Which is the Best Car Insurance to use While Traveling?